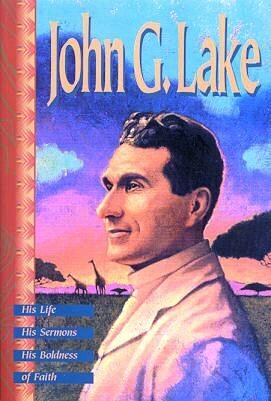 My first great interest in Africa was stimulated when a child through reading of Livingstone’s travels and exploration, and of Stanley finding Livingstone in the heart of Africa, and still more by reading of Stanley’s trip across the Continent and down the Congo. As the years of my boyhood passed, I became conscious of a certain operation of my spirit, which I shall endeavour to describe. In my sleep, and sometimes during my waking hours, it seemed to me as if I were present in Africa instead of America. At such times I would note the geography of the country, the peculiarities of the landscape, the characteristics of the various tribes of native people. I became deeply sympathetic with effort of the Boers as I watched them endeavouring to establish their republics. As I reached manhood these excursions in the spirit became more intelligent to me. On one occasion, while in the attitude of prayer, I approached South Africa from the Indian Ocean, and travelled through Zululand over into the mountains of Basutoland. I noted the distinctions of the tribal characteristics as I passed through these states, also the Orange Free State and the Transvaal from Basutoland to Johannesburg. This excursion, projection of spirit consciousness, or whatever it may be termed, occurred during hours of communion with God in prayer. While meditating and praying while on the sea, on my way to Africa, I would become suddenly conscious of the political conditions of South Africa, would feel the struggles of the various political elements in their contest for supremacy. Then again I would realise the condition of the country financially, and still again see the religious aspects of the nation. I saw the predominating thought that bound the Boer people as a nation to the Dutch church and the struggles of the civilised native people to attain a religious independence. While in the spirit I comprehended not only present fact, but my consciousness would project itself into the future so that I saw the train of national events that are yet to take place, also the West coast of Africa, when they had become great commercial seaports, with lines of railways extending up into the Transvaal. Much of this vision I have seen fulfilled at this writing, namely the uniting of the South African states into a national union (Natal, Orange Free State, Cape Colony and the Transvaal), the great religious upheaval, the settlement of political and financial problems, and so on. I saw the conquest of German Southwest Africa by the British, including some of the battle scenes of the present war there. (World War 1). No one could realise, unless they had been associated with me in the work in Africa, how thoroughly this knowledge of the conditions in Africa was made to me. This was not the result of reading, for I had read practically nothing of Africa since my childhood. In travelling through the country after my arrival, there was nothing new. I had seen it all in advance, and could recollect times and circumstances when in my visions of Africa I had visited one city or another. This knowledge of affairs was of inestimable value to me when I was actually on the ground. Business men and statesmen alike frequently expressed surprise at the intimate knowledge I possessed of conditions in the land, little realising how this knowledge had come to me. This spiritual consciousness of conditions, or gift of knowledge, continued with me throughout my fist years as President of the Apostolic Church of South Africa. It was my custom to dictate my letters in the morning before going to my office, or out among the sick, for the duties of the day. At such times, if I wanted to write a letter, for instance to Cape Town, Pietermaritzburg, Pretoria, or some other place, I would bow my head in quiet before God for a few moments. While in this attitude there would be born in my consciousness of the conditions of the Assembly or district, or town, as the case might be. I could see the difficulties the brethren were having there, if any and hundreds of times have written revealing to them an inside knowledge of the conditions among them that they were sure no one knew about. 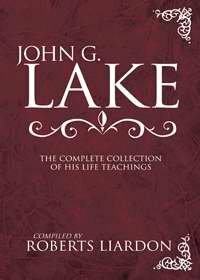 In the conduct of our native work, this feature was so marked that after a time, an adage grew up among the natives, “You can not fool Brother Lake, God shows him.” Many, many times when the natives would come and present perhaps only one side of a matter, I would be able to tell them the whole truth concerning the difficulty. On one occasion a man came from Robertson, made charges against a brother who was one of the elders in the work there. When he got through I said to him, “Brother, let us bow our heads in prayer.” Instantly I seemed to be in Robertson. I observed the assembly, saw the various brethren there, noted their piety and devotion to God. I saw that the condition was almost the reverse as it had been presented. The man, himself, was the trouble maker. On another occasion a woman came to me several times requesting prayer for her deliverance from drunkenness. I urged upon her the necessity for repentance unto God, confession of her sins, and so on. She assured me many times that she has done all of this. One day she came while I was resting on the cot. My wife brought her into the room. She knelt weeping by the cot. As usual she asked me to pray for deliverance. I said to her, “What about the two hundred and fifty pounds sterling worth of jewellery that you stole from such and such a home?” She threw up her hands with an exclamation of despair, supposing that I would deliver her to the police or tell the party from whom she had stolen it. I calmed her by assurance that as a minister of Christ no one should know from me concerning the matter. I regarded the knowledge as sacred before God because God had revealed it to me in order to assist her out of her difficulty. She was delivered from her drunkenness, and remained a sober woman, working earnestly in the vineyard of the Lord. Some days afterward, a woman came to me, saying, I have heard that so-and-so (naming the lady of whom I have spoken) has been converted, and I know if she has must have confessed to you that she stole jewellery from my home. I explained to her that even if such a confession had been made, as a minister of Jesus Christ I could not reveal it and would not reveal it. My wife possessed the spirit of discernment in a more marked degree than I did, especially concerning difficulties in peoples’ lives, particularly regarding those seeking healing. She had the power to reveal the reason they were not blessed of God.